In the world of writing, in addition to short stories and novels we often hear the term scientific papers. So many say that scientific writing is boring because it is very similar to the research proposal. Actually, if then we classify, they are there on the block writing fiction and nonfiction. If short stories and novels is a fictional writings that promote imagination, then the scientific writing is the opposite. That is its name, the article or a scientific work greatly appreciate the data and the fact that later was listed as the nonfiction works along with essays, articles, or writings relating to the ideas and factual analysis. So, how exactly the definition of scientific papers and matters related there? It's good we are referring to what was said Eko Susilo (1995) concerning the meaning or definition of the scientific literature. According to him, is writing a scientific paper based and forward all results through observation, review, research in certain fields, and then arranged according to specific methods of systematics as well with decent writing in language and content of his writings can be accounted for truth, or also called correct scholarship. Or in other words, scientific writing is a writing in which form and content using a rule of science that gained through scientific activities such as research, laboratory analysis, review of various reference books, and more. It's already dead price. Writing scientific papers is to write the facts and also based on the data. It is not allowed if in a scientific paper loaded with personal fantasy and all things related to corals composing. Why? Because of the scientific essay, once again, everything in it will be justified. Like the reporter, then an author of scientific works should be put aside personal ego or attitude of self sentiment. What we can from the field or what is in the data, that is what should be poured into our writing scientific papers. 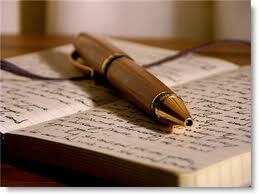 Do not then distort the facts and try to write ourselves subjectively. The latter is more the way they are presented. Since this will dipertanggungjawabankan, then cultivated for one priority is written with a straightforward language. Indeed, on paper and clear in meaning. Furthermore, there is no confusion and ambigusitas in our own scientific papers.